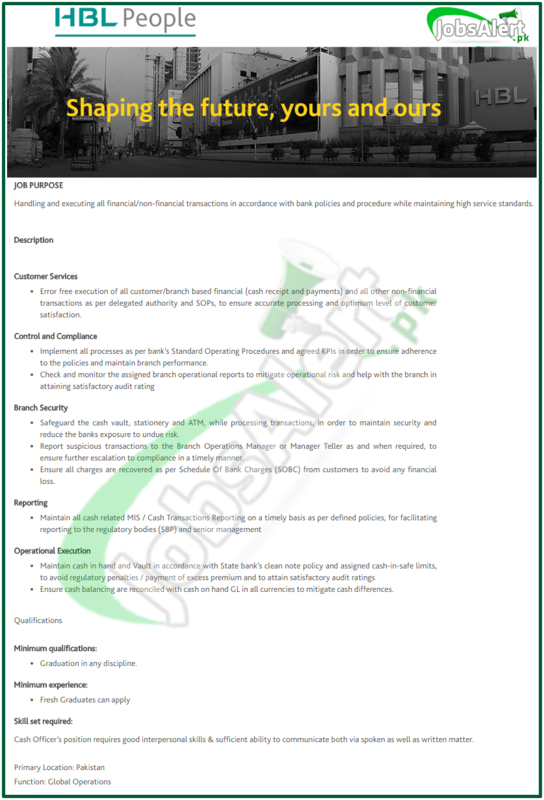 Apply for the HBL Cashier Jobs 2019 for Fresh Graduates (Male & Female) which is for the such fresh individuals who are just Graduation pass and looking forward to join any reputed company/bank/organization and such candidates need to focus here because HBL Jobs 2019 are announced. For which Fresh Gradautes Male & Female are welcome to apply via online at the official job portal of Habib Bank Limited. The last date to apply for the Pakistan Nationals Fresh Graduateies in HBL Jobs is 30th April 2019.